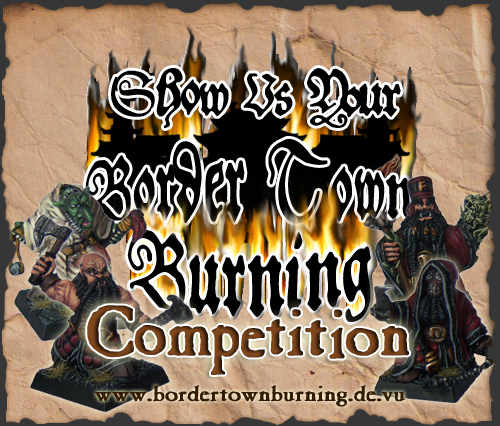 Send your submissions to bordertownburning@yahoo.co.uk. No matter whether it is photos, texts, etc. Don't forget to give us your full name so that we can properly credit you for your work. If you use the contact form on the Border Town Burning website make sure that you include your email address. Chaos Dwarf warband: After seeing the Border Town Burning supplement Dirk has sculpted these cool Chaos Dwarf miniatures for the Black Dwarf warband (yes, that is an example of what would be an excellent submission). This prize includes a total of six unpainted metal figures, plus one bonus model. You can see painted examples of these Chaos Dwarfs here. 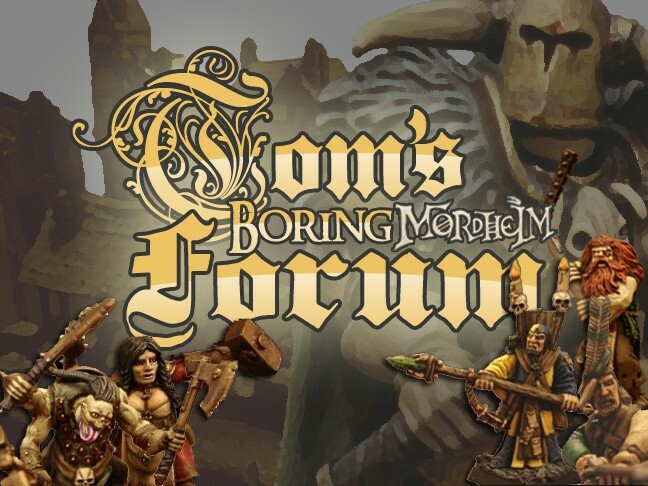 Mordheim Bitz Pack: The second Bitz Pack is the Mordheim pack, which contains goodies from the Mordheim sprue, rare metal equipment bitz and Mordheim scenery parts.  Extra Dwarfs: We will give away a few additonal Chaos Dwarf miniatures to random entrants. Of course, only serious submissions will be considered for this, so please do not submit a half-hearted scenario just to get a chance at winning one of these. If you have any questions about the competition, feel free to ask! Hmm. I haven't had the pleasure of playing the campaign yet, but might be chance to make a scenario devoted to attacking hobgoblin riders. For the glory of the Khan! A glorious idea! Anything that produces nice pictures of buildings, terrain & warbands or new scenarios stories is brilliant in my humble opinion . I´ll have to think about some things - maybe write up some of the BTB scenarios i´ve altered to multiplayers ones for our campaign or make my merchant caravan warband presentable. And i´ll try to convince Wolfgang to enter the catacomb board he is building - he got the idea when we were talking about horrors of the underground. He was playing around with diablo on an old pc at the time so the look is inspired by the game graphics. My carauders and his carnival of chaos were defeated by a vampire warband when we tested the board and the scenario - a very apt outcome . No matter what will your answer be, you have my sword, my bow and my axe (and all of my brushes)! @Horatius: I have seen Wolfgangs catacombs at GG. They're stunning. I did think of the Horrors scenario at first, but he said he was using a different scenario for it, he even posted it, so I thought I didn't have anything to do with it. Anyways, a bunch of photos of it and some BTB-related fluff would make that scenario a great entry. Especially because having another scenario that works with the horrors tiles would making them more motivating since they have multiple uses. @Skavenblight: Of course! Anything that fits the theme is welcome! Warbands, single Minis, dioramas, campaign summaries, scenarios, new Hired Swords... anything that is content-wise related to the setting. Wolfgang had the idea for an underground setting in his head for a long time. When two of our gaming group tried a 1on1 BTB campaign and told him about our experience with horrors of the underground he finally decided to build it. The board´s look is Diablo-inspired, but we transferred it to (or rather beneath ) to the borderlands. We have used (or rather playtested) the scenario Wolfgang posted in our ongoing BTB campaign last game and will be using it in the next game, the scenario will be a mix of Horrors of the underground (the wyrm will appear) and Wolfgangs dungeoncrawling ideas. When you play with four warbands you almost always need more objectives / things to do then in normal games. And besides, the board is too cool not to use it . So again: Please write up the scenario and submit it with a bunch of photos of the board and your minis on it. If nothing else, it will be a great addition to the scenario section. So does anyone have any ideas of what they are goin to do? Anyone willing to give a teaser? I am working on a new underground scenario, we playtested it yesterday and it worked fine....but i don´t have a teaser for you . Oooh yeah! Teasers would be awesome! ps. Ill try to find my camera, converting my first CD ever atm! Now that I said I will contribute a mounted marauder warband to the competition, is it just me or do I have yet again roughly a month for a new warband? Indeed, only little more than a month. Well, nothing pushes you like a good old deadline. Oh, and by the way, I already received the first submission a few days ago! U already got your first submission?!? Dang over acheivers always get their first, unlike us PRO-crastinators (of which I AM a big one, and no thats not a fat joke). I'll write up the whole thing soon, but here's the twist: Both warbands are ALLIED, and (possibly against their will) working to defend the village agianst Hobgoblin raiders. So the 'winner' is not the warband that thrashes the other, but the one who does the best job defending his own half of the village. Sound good? That does sound great indeed. So will it be both warband's Heroes then, to get more of an outnumbered feeling? I look forward to it. I love the idea for the Seven (u fill in the blank). Almost a Custards last stand, or Alamo feeling.. but hopefully the heroes will over come! Alright, I got another submission in. Get cracking, folks. Phew, people are way too fast. I have just finished writing the final version of my "Demon Summoning" scenario and have mailed it to Cianty - so now all you aspiring participants have even less excuses not to get cracking . I´d love to see more scenario ideas like the magnificent seven, please hurry and finish it StyrofoamKing! This is a reminder: only one month until the contest closes!